Vitamin C is an important micronutrient which plays a role in wound healing, the maintenance of healthy connective tissue, as well as working as an antioxidant within the body to help protect and maintain the health of body cells. The UK government recommends 40mg of vitamin C per day for adults and, as the vitamin cannot be stored within the body, it is required through the diet every day. If very low levels of vitamin C are consumed continuously over a period of weeks symptoms of vitamin C deficiency Scurvy may appear. Symptoms of Scurvy include inflammation of gums, joint pain and poor wound healing. Before the end of the 18th century Scurvy was a deadly disease to many sailors who travelled away for months at a time with very low intakes of vitamin C. It was not until the mid-1700s a British Navy surgeon conducted experiments and discovered eating citrus fruits cured Scurvy, although it was not discovered until 1932 this was due to vitamin C.
Very high intakes of vitamin C can cause unpleasant side effects such as stomach pains and diarrhoea, however this usually occurs through supplementation rather than through diet alone. 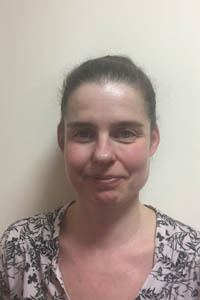 With a varied diet risk of vitamin C deficiency is low and therefore there is little need for supplementation; however some groups of people may be more at risk of deficiency than others, these include people who smoke cigarettes, people with very little variation in their diet or people with severe malabsorption. Due to the antioxidant actions vitamin C, which is also known as ascorbic acid, there are suggestions that it plays a role with the prevention of diseases such as coronary heart disease and some types of cancer. There has been a lot of research into this area however, up to now, results have been inconclusive. Despite this, research has shown an association between higher levels of fruit and vegetable intake and decreased risk of cancer and cardiovascular disease so it is still important to consume our five a day to support good health whilst providing our bodies with the necessary amounts of vitamin C as well as other essential vitamins and minerals. Eating vitamin C rich foods alongside foods containing non-haem iron, such as broccoli can increase the absorption of the iron and reduce the risk of iron deficiency anaemia. This is especially important to vegetarians as plant based sources of iron are less available to our body than the same amount of iron from animal sources. Fruit and vegetables are the main sources of vitamin C within the diet including citrus fruits, tomatoes and broccoli. Potatoes also provide a large amount of vitamin C to our diets and, although not naturally present in grains, many breakfast cereals are fortified with vitamin C. Consuming a varied diet, whilst choosing to steam rather than boil our food when cooking, limiting the amount of vitamin C we destroy, helps to ensure you receive the full benefits of vitamin C.